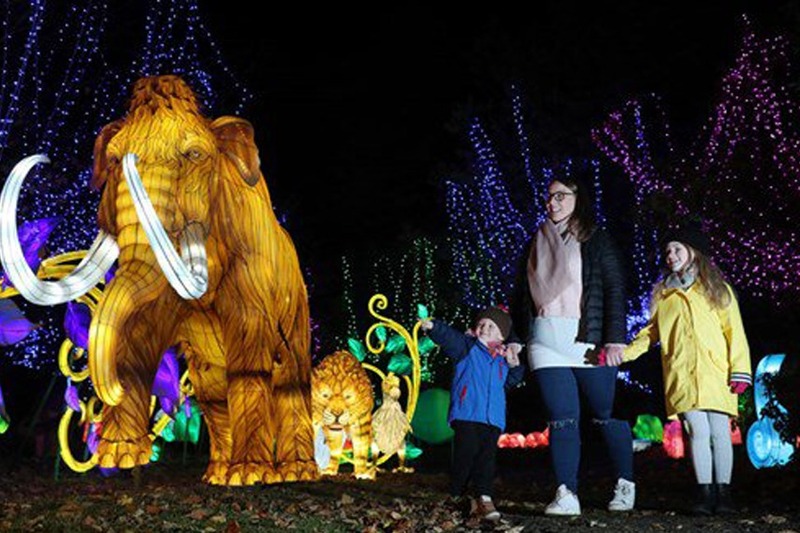 Edinburgh Zoo has officially unveiled its biggest ever event, The Giant Lanterns of China, featuring hundreds of gigantic lanterns inspired by mythical creatures from Scottish and Chinese folklore and endangered animals across the world. Scotland’s only Chinese lantern festival has returned with a new theme inspired by the Scottish tradition of storytelling, the Royal Zoological Society of Scotland’s (RZSS) wildlife conservation work and the cultural heritage of Sichuan – where the Zoo’s resident giant pandas were born. The enchanting trail around the Zoo was created by 200 specialist artisans from China and took over 100 days to construct. It will feature more than 450 bespoke handmade lanterns constructed with 50,000 metres of fabric and 80,000 LED lights. Tickets for The Giant Lanterns of China are priced from £9.50 for children and £18 for adults and advanced online booking discounts are available. Tickets are available via the website.